Another fantastic way to raise Dwarfism Awareness is by purchasing a ‘#Dwarfism Beautiful’ glam T-shirt designed by Mary Russell in conjunction with ‘Glamsticks’. 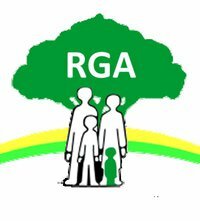 You can order a T-shirt for £15 by contacting Sharon Farley-Mason at glamsticks@hotmail.com, or by following the links that Mary Russell has posted on the RGA Facebook Forum. A £5 contribution for each T-shirt purchased goes to the RGA.